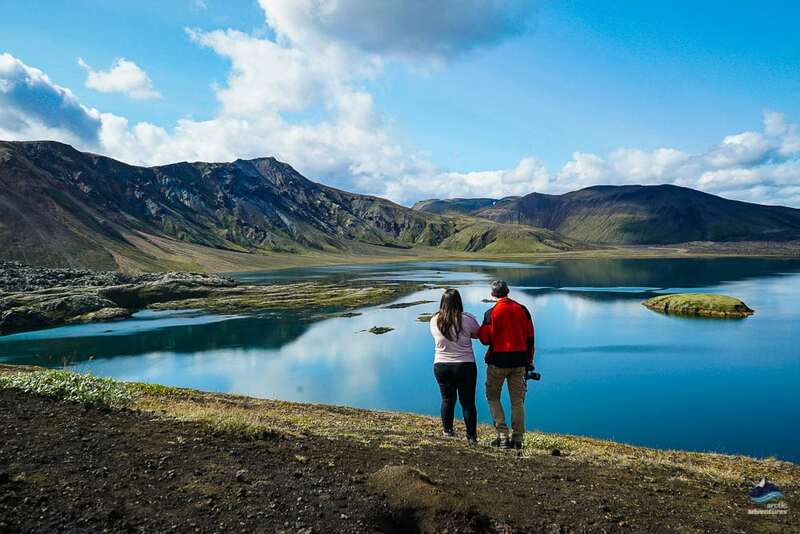 Experience the great Landmannalaugar interior destination with a pro at the wheel of your Super Jeep - and don’t forget to bring along your bathing suit! 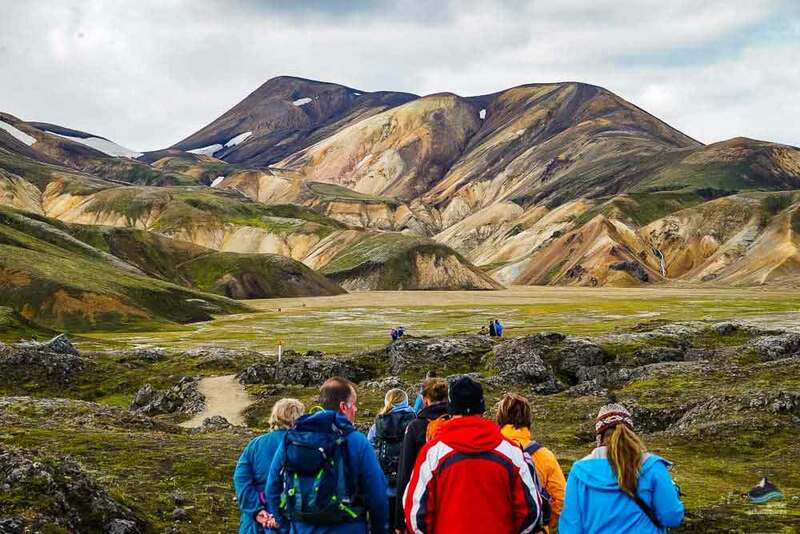 Explore the colorful Landmannalaugar, a geothermal paradise in the southern highlands. 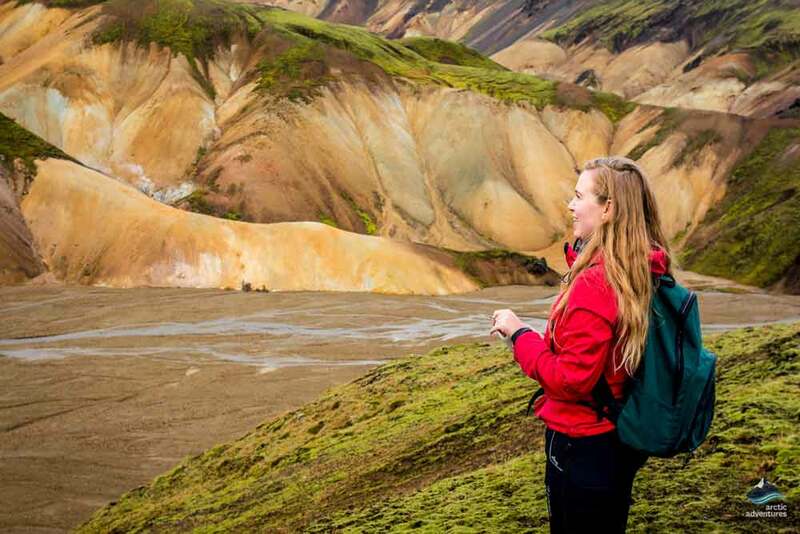 The interior of Iceland is known for its rugged lava fields, glistening glaciers, and amazing natural phenomenons and now its time for you to get to know it. 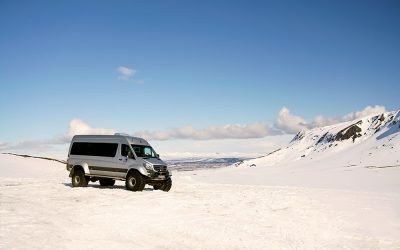 This tour is a full-throttle adventure on big wheels to some of the most remote and unique places Iceland has to offer. Join a full day tour packed with memorable location and unforgettable experiences. 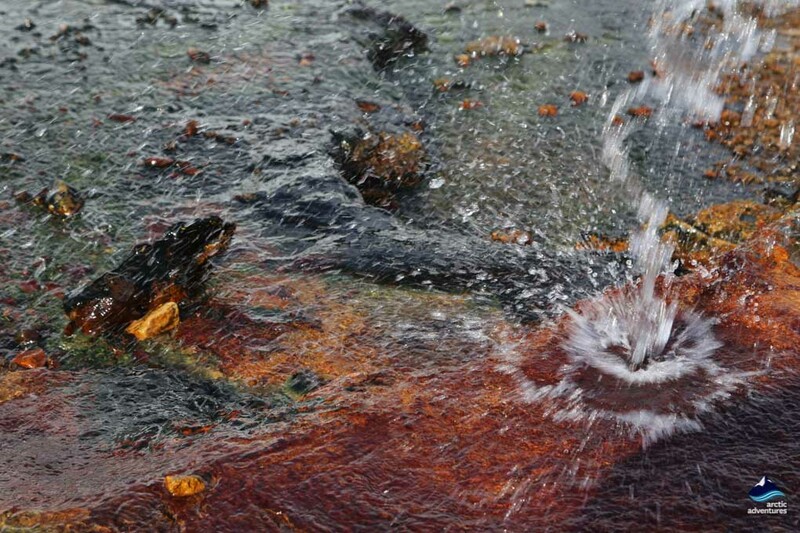 Bath in a hot spring which waters flow from a moss covers-ed lava field right above. 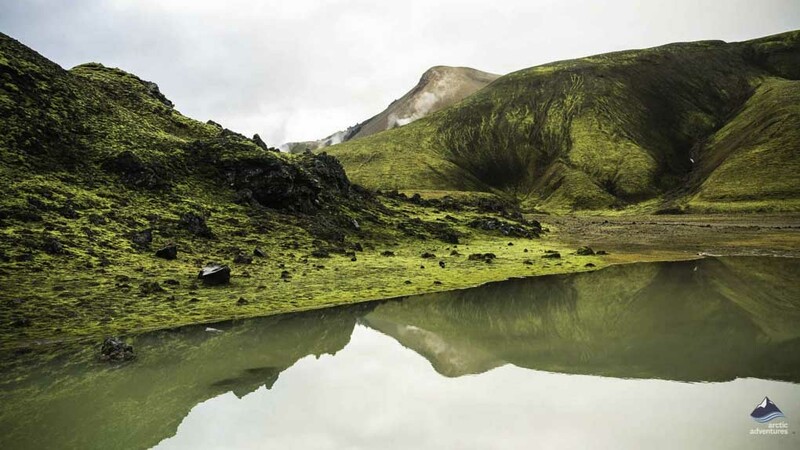 Visit Ljótipollur e. the Ugly Puddle the most wrong-named lake in the world and see the rhyolite wonders of Mt. 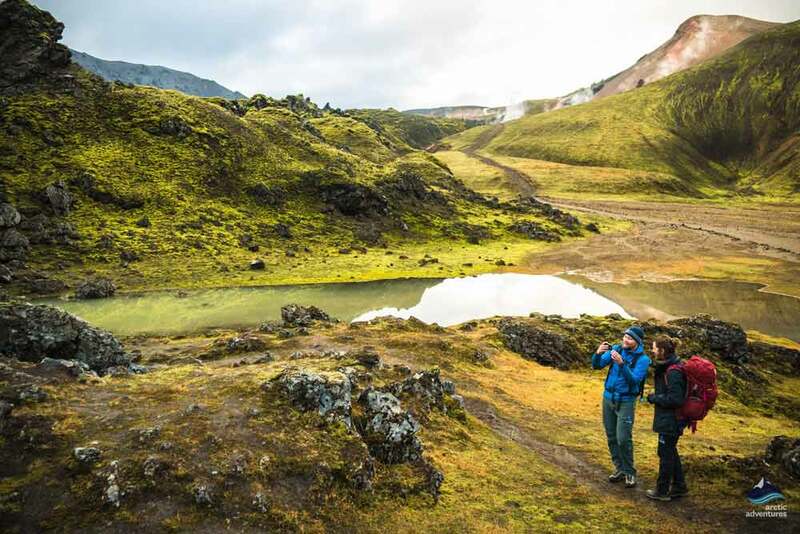 Brennisteinsalda and Bláhnúkur before viewing the ravishing crystal blue Sigöldufoss waterfall. A Super Jeep adventure has never been this exciting! 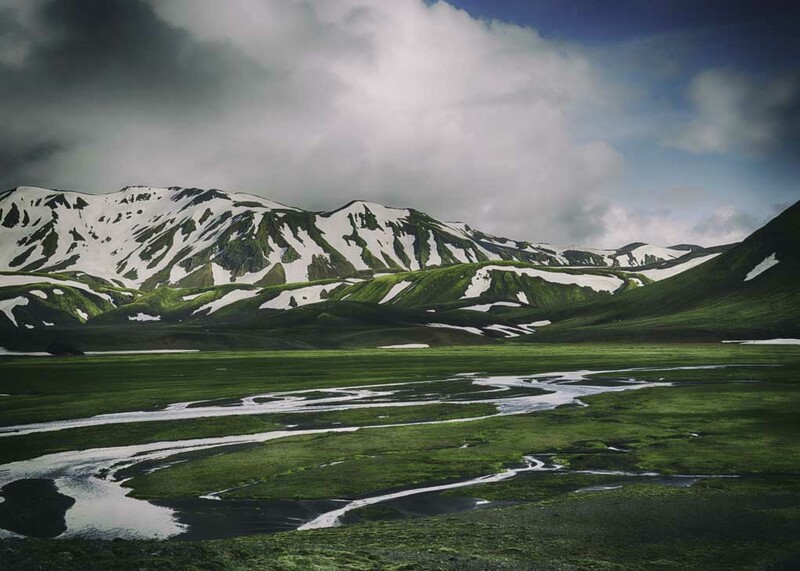 We start off from Reykjavík and drive through the fertile farmlands of southern Iceland. Soon the snow-covered peak of Hekla, Iceland’s most famous active volcano, comes into view. Hekla was notorious in medieval Europe as it was believed to be the entrance to hell. 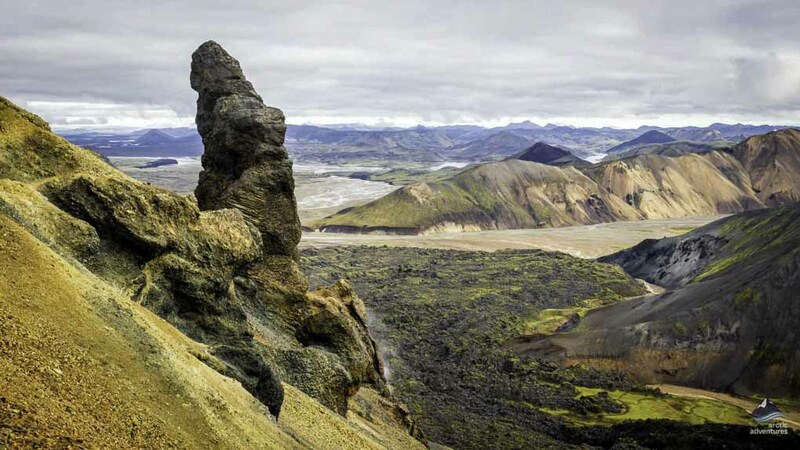 Hekla has erupted approximately 20 times since the county was settled in the ninth century. The variations in the lava and vegetation shaped by the forces of erosion create a spectacular setting for the volcano. 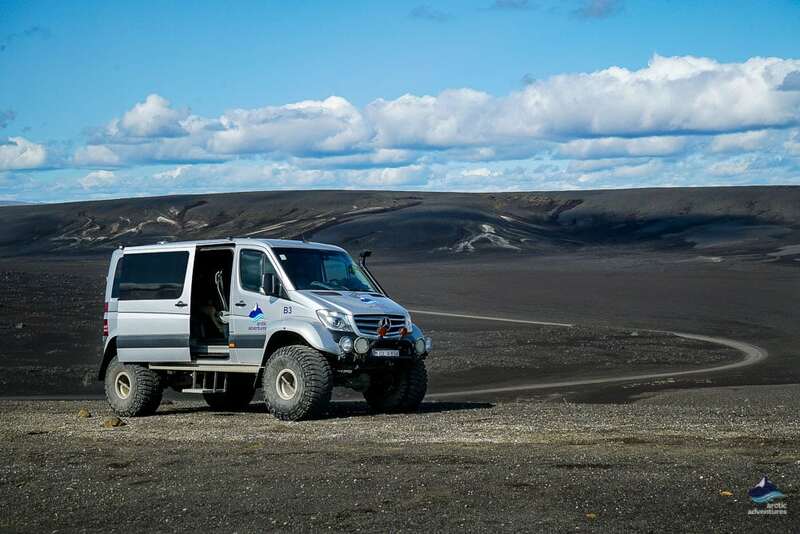 We drive up to the vicinity of lava field formed during the 2000 eruption. If weather permits, we continue our climb up to 900 meters above sea level to a beautiful viewpoint. From this height, we can enjoy a splendid view of the surrounding region. 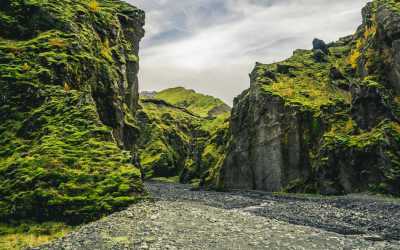 We will get a chance to enjoy the vista over the hidden gem Sigöldufoss waterfall, one of the most photogenic places in Iceland with gushing glacier water dropping vertically down from black basalt columns. A true sight for sore eyes! 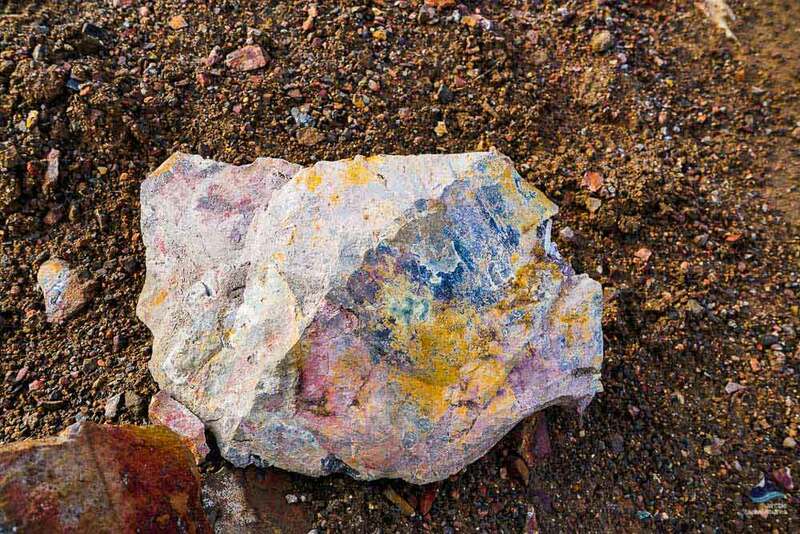 From the base of the volcano we drive over a truly rugged mountain track past lava fields and explosion craters. 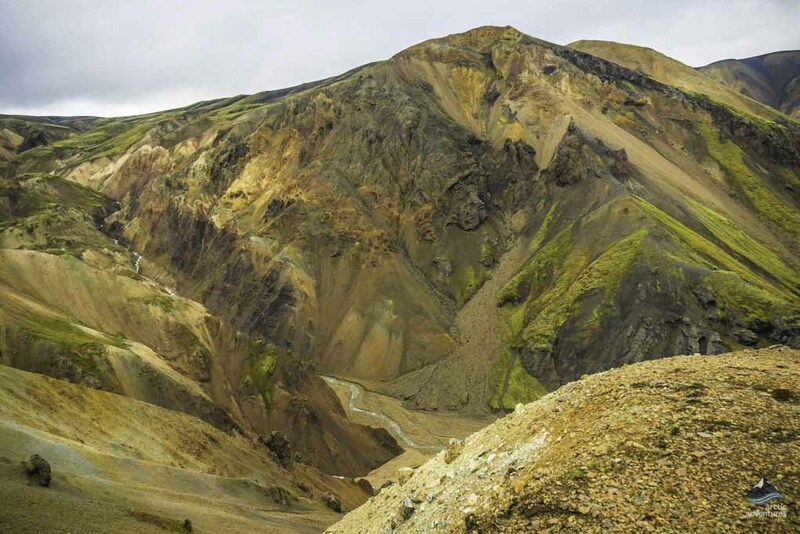 We then head into Landmannalaugar traversing a few streams and rivers in our specially build super jeep. 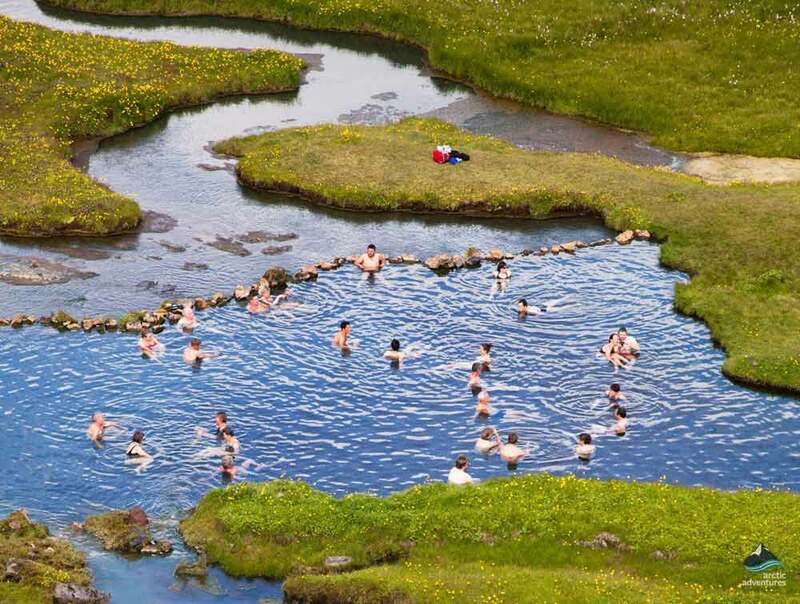 We will stop allowing time for exploring or a refreshing dip in the nearby hot springs stream. 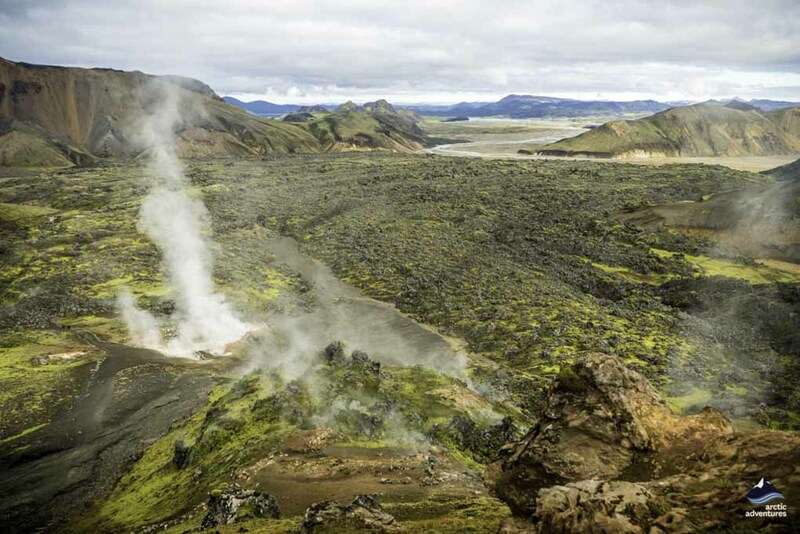 As we head out of the interior, we visit the explosion crater Ljótipollur. Then we advance down the picturesque Þjórsárdalur We’ll make a stop at the photogenic Hjálparfoss waterfall after making a pit stop for coffee and a short break. 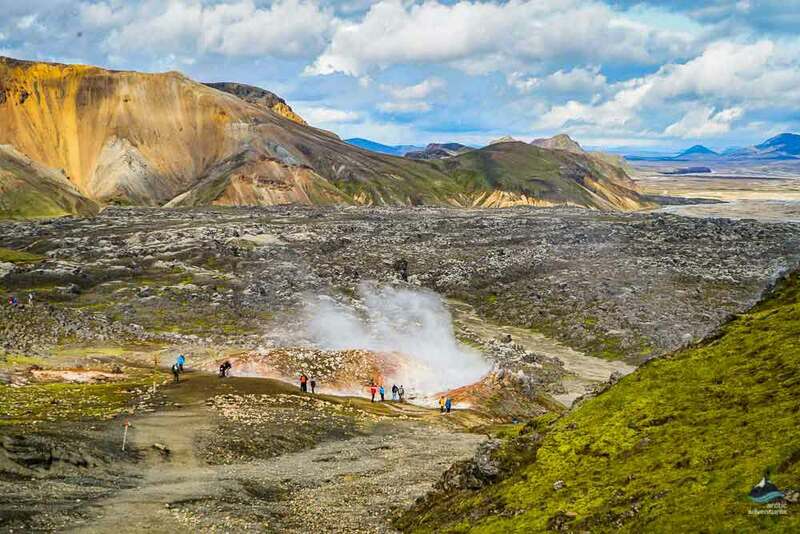 The day in the Landmannalaugar area is a memorable experience and a geological treat. Pick up: For those who have chosen to be picked up in Reykjavík, the pick-up time is at 09:00 AM. Picking everyone up can take up to 30 minutes, your patience is greatly appreciated! Don’t know where you will be staying? No worries, just choose “To Be Announced” for pick-up location and get back to us when you have further details. You will return to Reykjavík around 09:00 pm approximately. What to bring: Warm outdoor clothing, waterproof jacket and pants, headwear and gloves. Good hiking shoes are recommended. 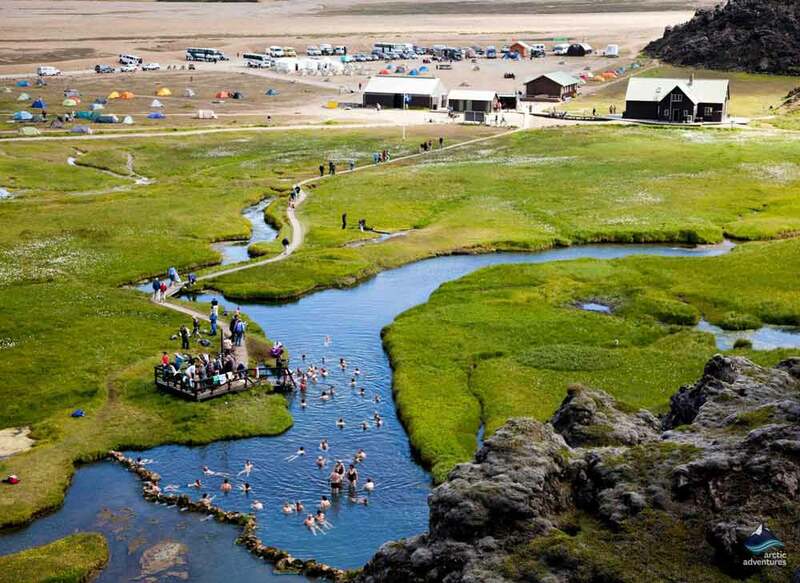 Optional: Bathing in a natural warm pool at Landmannalaugar. Remember your bathing suit and a towel! Don’t worry, you can always rent sturdy hiking boots, waterproof jacket and pants in the booking process or on location. Price from: 29.990 25.492 ISK per person. First of my 3 adventures booked with Arctic Adventures and wow what a day. Just 5 of us in the huge super jeep with a wonderful local guide, who was so generous with his knowledge added with great humour. Plenty of time to explore absolutely everything and more. Highly recommend this tour in a ever changing landscape – so good! 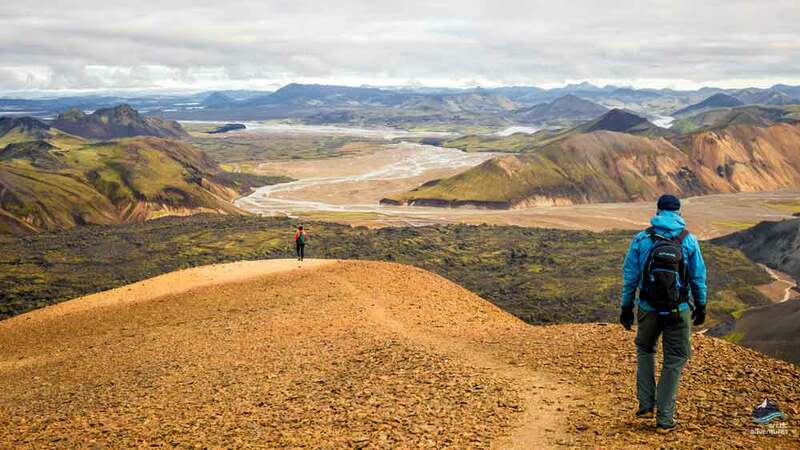 A rugged off-the-beaten-track approach to the classic highlights of Geysir, Gullfoss, Langjökull Glacier and Þingvellir! 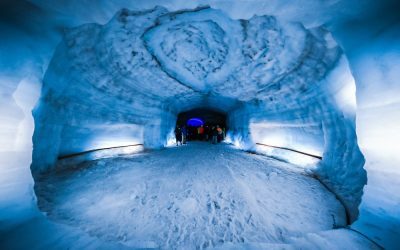 Experience the magical Ice Caves of Langjokull on a trip through the dramatic highland roads of Iceland. 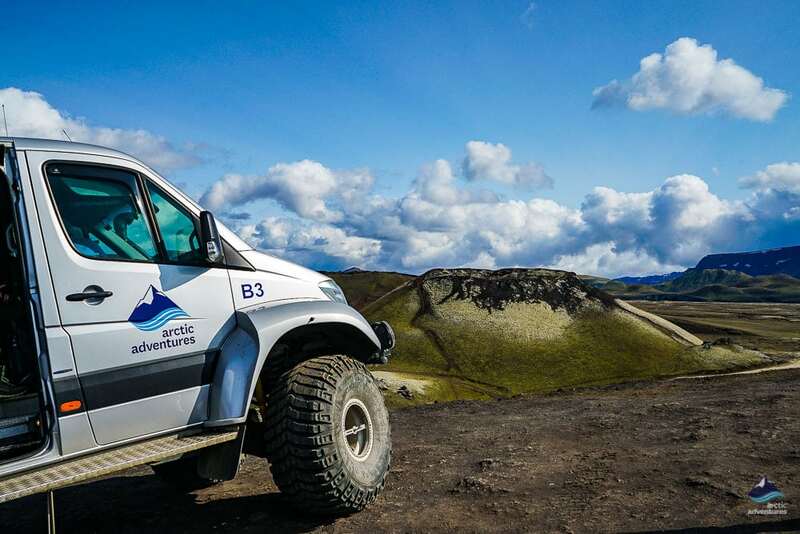 Come and explore one of Iceland's roaring volcanoes in a super jeep!